Solange Knowles has opened up to fans about recently being diagnosed with a serious illness. The 31-year-old singer revealed on her Instagram page that she would not be performing at AfroPunk Joburg 2017 this week because of her battle with an autonomic disorder. Wrote, deleted and re wrote this like 5 times… Still not sure what exactly or how much I want to share… However it’s so important to me for the people in South Africa, a place that has tremendous meaning to me and that has given me SO SO MUCH, to know why I won’t be performing at Afro Punk this NYE. The past five months I have been quietly treating, and working through an Autonomic Disorder. It been a journey that hasn’t been easy on me… Sometimes I feel cool, and other times not so cool at all. It’s a complicated diagnoses , and I’m still learning so much myself, but right now, my doctors are not clearing me for such an extended lengthy flight, and doing a rigorous show right after. I can’t put into words how saddened and sorry I am that I am unable to perform for you guys this NYE, there is simply no other place I wanted to be than there with my family to bring in 2018 with you…….but I give you my ABSOLUTE WORD I will come back with AfroPunk and deliver this performance…..as it is so extremely important to me to connect with the people who have so closely inspired me in so many ways. I can’t thank Afro Punk enough for their support, and to all of the other festivals this past summer/fall who have known about my health, kept it confidential, and gone out of their way to make me feel supported while doing these shows. As a part of the self care that I’ve tried to encourage this past year, it needs to start with myself, and I’m looking forward to doing a better job of this 2018. This past year has been one of the most fulfilling of my life… Performing this record and experiencing the energy exchange with you guys has been astounding, and I’m so excited about continuing to do the work I feel so absolutely humbled and appreciative to be doing next year. It gives me life. Nevertheless, she reassured fans that she’ll return to South Africa to perform for them at a later date. 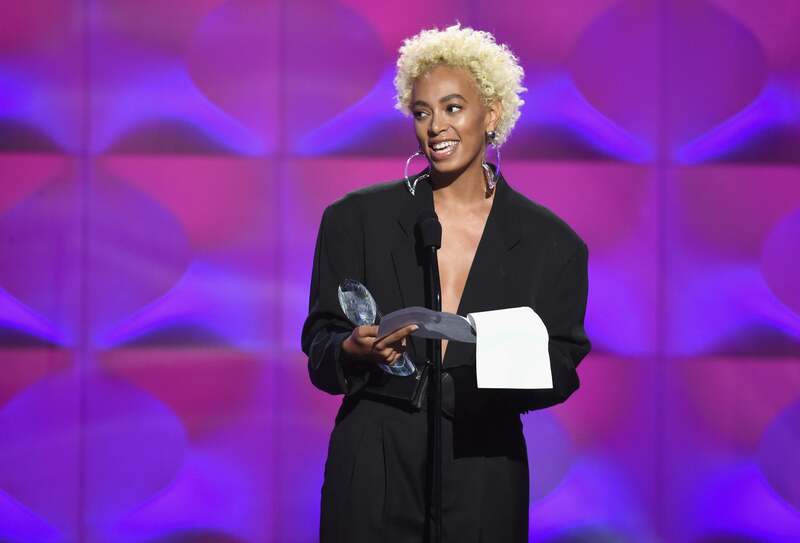 Solange released her third studio album, A Seat At the Table, in September 2016 for which she won her first Grammy. Throughout 2017, she performed songs from the project in curated art spaces, festivals, and intimate concert halls.